Applications are now open for on-road cycle parking in secure Dutch-style 'Bike Hangar' containers in Lambeth. 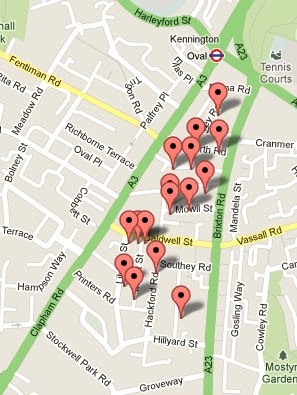 The cycle parking, provided by Cycle Hoop working with Lambeth Council (and first outlined here in 2011),is currently available in the North of the borough in residential roads between Brixton and Clapham Roads in Kennington, SW9 (see Cyclehoop map below). The cost of the cycle parking is £42 per year or just over 80p per week. 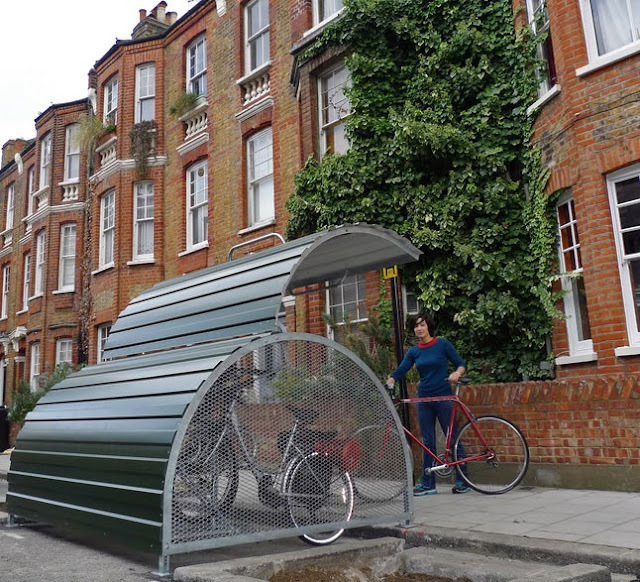 Lambeth Cyclists welcomes this scheme as we believe that it removes one of the key barriers to cycling in the borough – the lack of suitable bike storage space. We hope that the council will respond to the demand for these facilities so that secure cycle parking is available to as many people as possible all over Lambeth.